Can I File for Taxes Using a Married Name if My W-2 Is in My Maiden Name? Your maritial status on Dec. 31 determines how you file for the entire tax year. 2. What to Do When You Forget to Add Married Name to Taxes? 3. Can a Tax Return Be Rescinded? Whoever said "Love conquers all" must have overlooked the bureaucracy that comes with changing your name. Even if you received a marriage license without a hitch, your tax situation may become confused the year in which you get married. If you receive a Form W-2 with your maiden name on it, tax preparation may not be as straightforward as it is for other filers, although it isn’t a tax-time catastrophe. Because the Internal Revenue Service indexes your return using your Social Security number, you must make sure that the Social Security Administration has been informed of your name change. If you haven’t already made the change, you can change your name with the Administration using a form SS-5. Although the IRS and Social Security Administration are independent organizations, the IRS checks information on returns against the administration’s databases, and any discrepancies on your return from the record may delay your return’s processing. If you received a W-2 in your maiden name and haven’t made the change with the Social Security Administration, don’t wait until April to make the change with the SSA. The IRS recommends that filers wait at least 10 days after the SSA changes your records to file your return, to ensure that the change has been noted in all databases it uses to check returns. If you already notified the Social Security Administration to change your name to your married name, filing taxes using your married name is simple, even if you receive a W-2 with your maiden name on it. On the W-2, cross out your maiden name, and write in your married name before you file. The IRS will use the altered W-2 to check against Social Security records, and if the name and Social Security number on your returns agree with those in the SSA’s database, your returns are processed normally. If you haven’t had a chance to notify the Social Security Administration of your name change, you can still file using the W-2 with your maiden name if you file jointly. 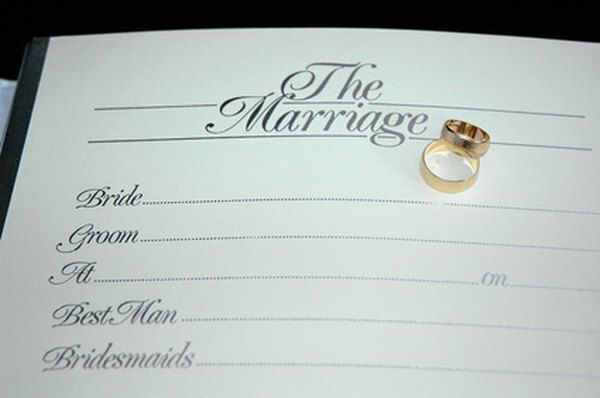 The IRS allows married couples to file jointly using the woman’s maiden name. You’ll need to file the return using your maiden name rather than your married name, if that’s the name the SSA and IRS have on record. You can then alert the SSA of your new name, and file using your married name in the future. What Happens if a Wrong Account Number Was Provided for Income Tax Returns? What Does It Mean If the IRS Is Correcting My Refund? What Happens If the Same Income Tax Return Is E-Filed Twice? Does Filing Your Taxes Electronically Increase Your Chances of an IRS Audit? What Do You Do if You Put the Wrong Routing Number & Account Number on Your Tax Refund?